A couple of friends and I spent one of the most wonderful Sundays down at Disney's Aulani Resort. Located in Kapolei, right before the Waianae Coast, it is a literally a world in its own. 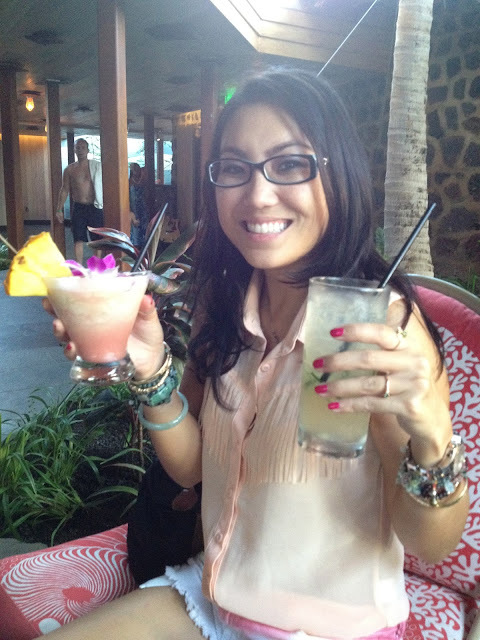 While I was still on Oahu, I felt like I was off on a faraway land, on vacation, and loving every moment. Sitting by the pool, sipping a Lava Flow in a frozen pineapple was one of the best parts. We stayed until late and had to decide on where to go for dinner. 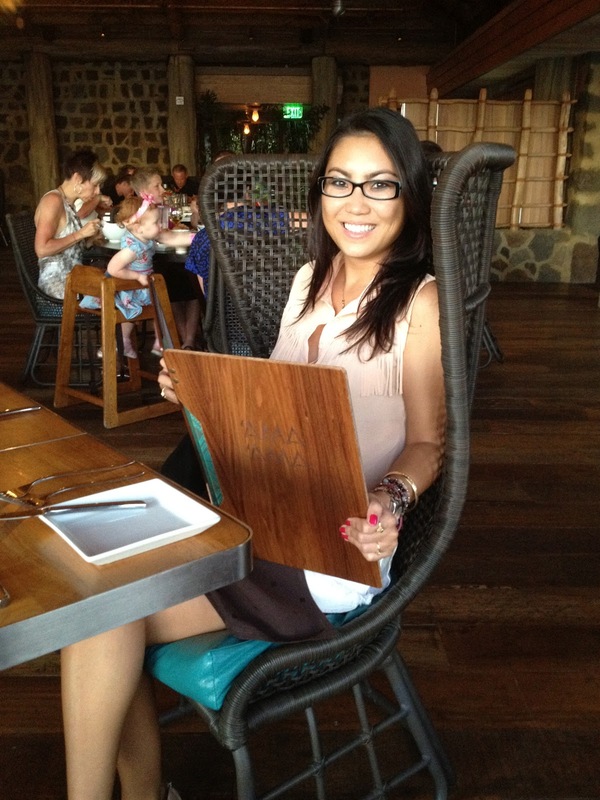 'Ama 'Ama seemed like the best option, plus we got seated at a table overlooking a gorgeous view of the lagoon. Simply breathtaking. Food was spectacular. Big portions, a cool breeze, and even some hula girls dancing around us. I had one of the best Chopped Salads here too! I highly recommend it. It was the perfect one-day staycation I could have asked for. Once we took the on-ramp back onto H-1, I immediately felt back to reality. Back to the daily grind. I guess Disney really is made of fairytales. Chopped Salad- perfect combination of furikake, capers, chopped egg, tomatoes, avocado, crispy bacon bits, and wonton strips! SO delicious! Bread and butter with red and black salt. Sprinkle the salt on the butter and then put it on the bread! Whole Salt-Crusted Island Sustainable Catch- made a second way! This was mine, and it was ono! A huge piece of fish!